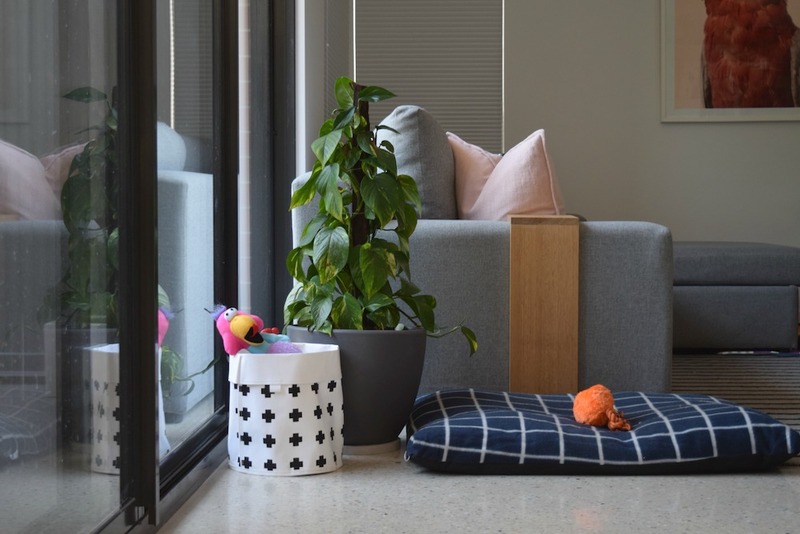 It’s been just over a year since we moved into our new home and while I’ve been making strides to settle in and finish styling rooms, I’ve neglected to show as much attention to organising spaces. Along the way, I’ve been making things worse by adding to my mountain of stuff (think all the DIY materials, new products for styling etc) so this weekend, I set aside time to do some achievable organising and decluttering jobs. Deciding some progress was better than none, I set myself the goal to tackle 6 small jobs around the home and you could do these today too to simplify your home (and possibly your life!). 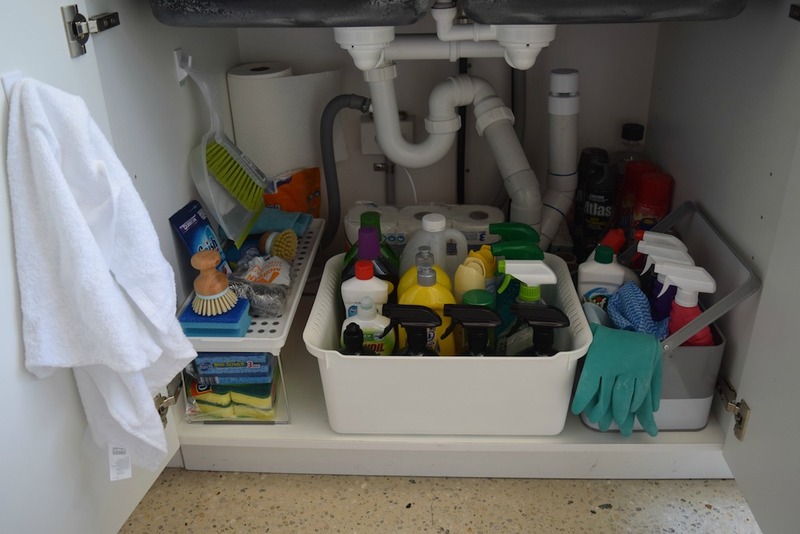 I’m not embarrassed to show this before and after because check out just how great under my kitchen sink looks now! Until the weekend, I would shove cleaning products and random household items in this cupboard without much thought. 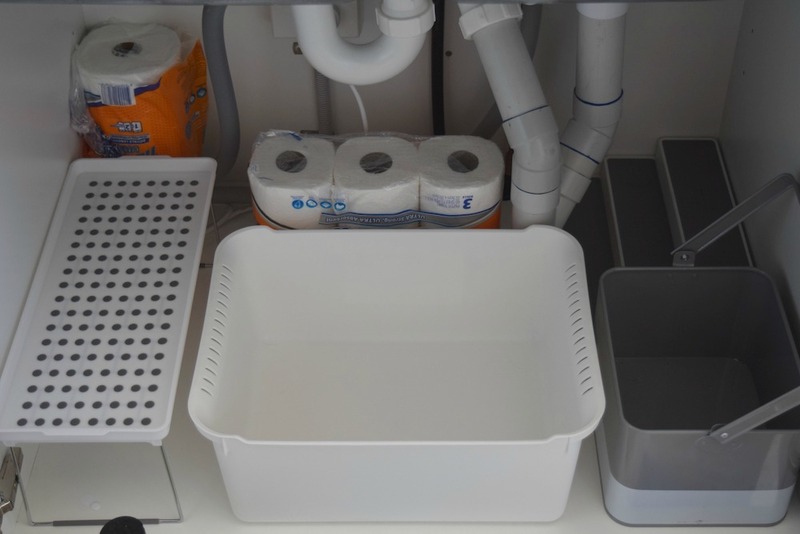 I decided the chaos under my kitchen sink couldn’t continue so I bought some clever storage pieces like pop up shelf, large plastic storage box, tiered shelf and caddy from The Reject Shop. 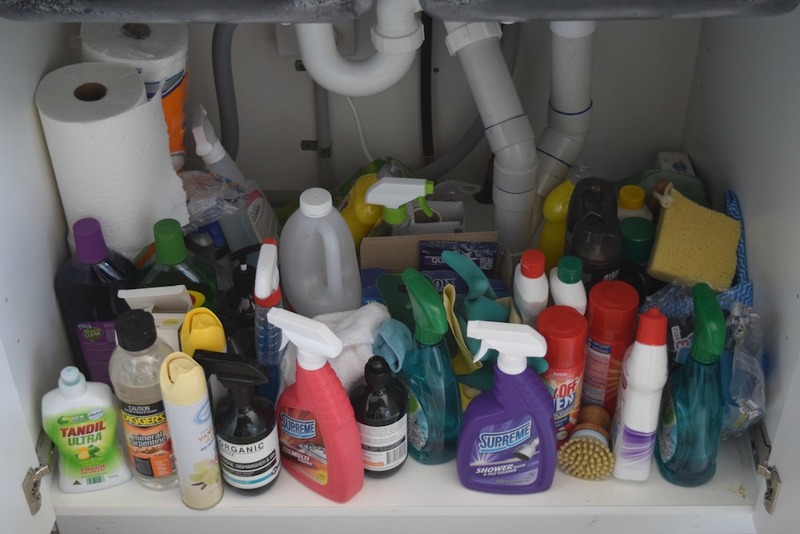 Starting by pulling out all the items from under the sink, I sorted these into products I still use and need vs those that could be discarded. I grouped like objects together and placed these back under the sink in a logical way — using the tiered shelf at the back to store items I rarely use, the large plastic bucket for all my cleaning products, the caddy for one of each essential cleaning product (so I can easily take this from room to room when I do my cleaning), and sponges and scrubbing brushes on the pop up shelf. 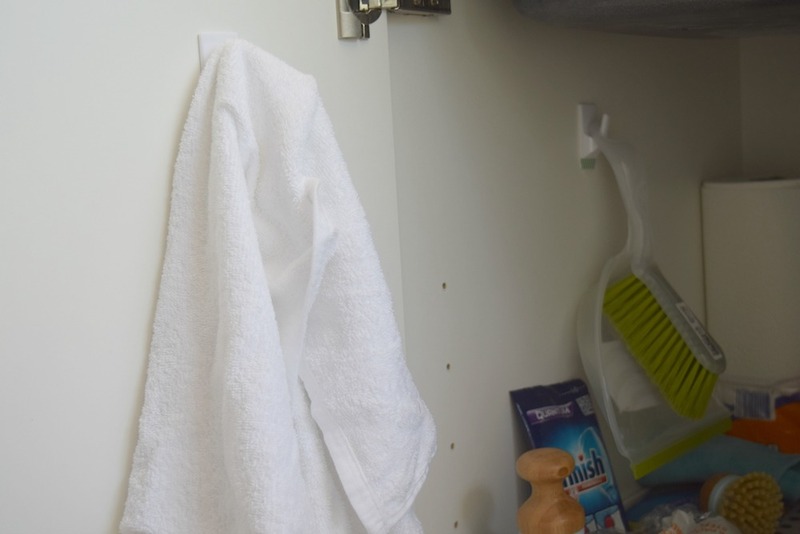 I also maximised vertical space by placing plastic hooks on the door and inside the cupboard. My house was starting to feel like a laundromat! Clean folded clothes would sit on my dining table or in the living room for days at a time before they would be put away and it was starting to drive me crazy! 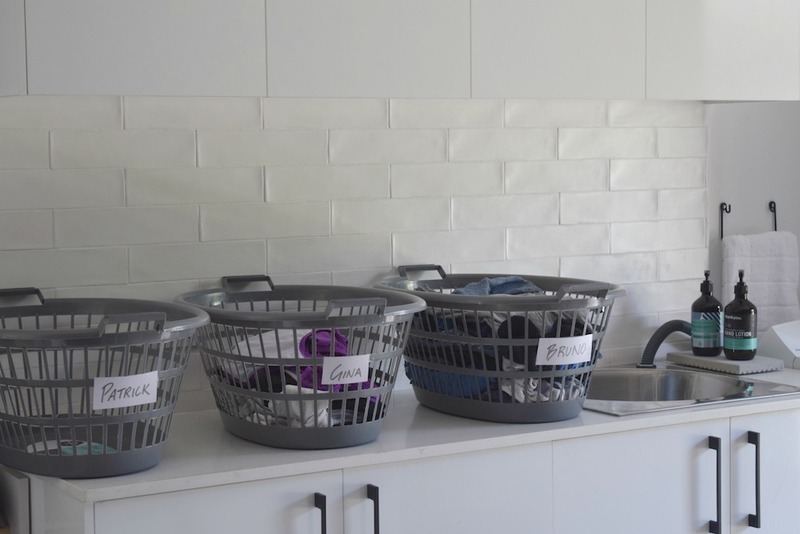 A simple organisation hack to conquer this problem is to create a laundry sorting system using washing baskets. Give each person in your house a washing basket for clean clothes to be placed inside. It becomes their responsibility to take the basket to their room and put their clothes away. You could even assign two baskets to each person — creating an ‘in’ and an ‘out’ basket so they also become responsible for taking their dirty clothes to the laundry before taking their clean clothes away. Arnie is my first baby and he is spoilt completely rotten! Our house is bursting at the seams with dog toys and other products, not to mention the giant bags of food and dog treats he consumes. Even though I love him to bits, I can see (and smell!) a problem so it was time to do something. 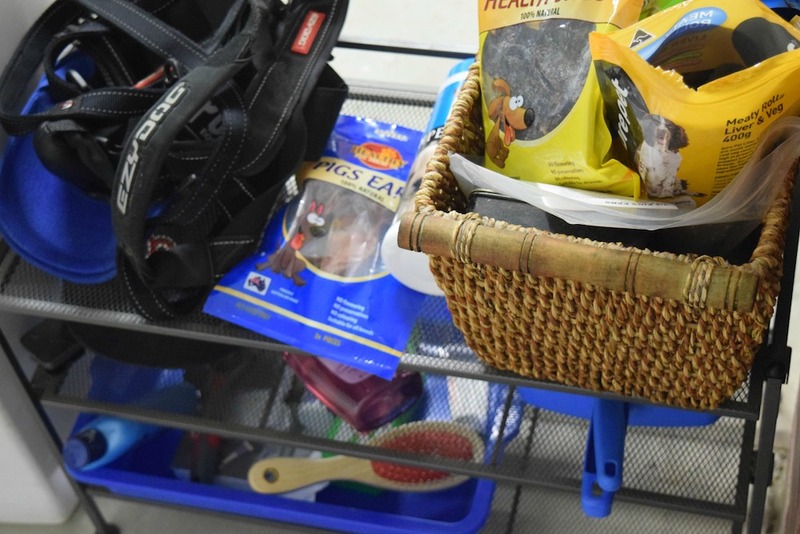 You might like to have all your pet supplies in the one place, like the garage or a cupboard, but I prefer to keep certain types of products in areas where they are most convenient. His toys are mainly in the living room but they were starting to take over! I decided I’ll let him keep one toy out at a time and put the others away in a stylish fabric basket that’s big enough for him to put his head in and pick out new toys when he wants (so cute!). The biggest issue was his dog food. When I was feeling lazy, the bag would sit right next to his bowl but this was starting to smell so I moved the bag into the garage but that simply moved the problem. I found a storage container with a pop up lid that can hold enough food for a week and this now sits by his bowl along with a large dog food scooper. And lastly were all of Arnie’s dog treats and grooming products. Arnie is a very fussy eater so at times I would buy a bag of dog treats, only to discover he doesn’t like them… these old bags were building up and his other products were in a mess. 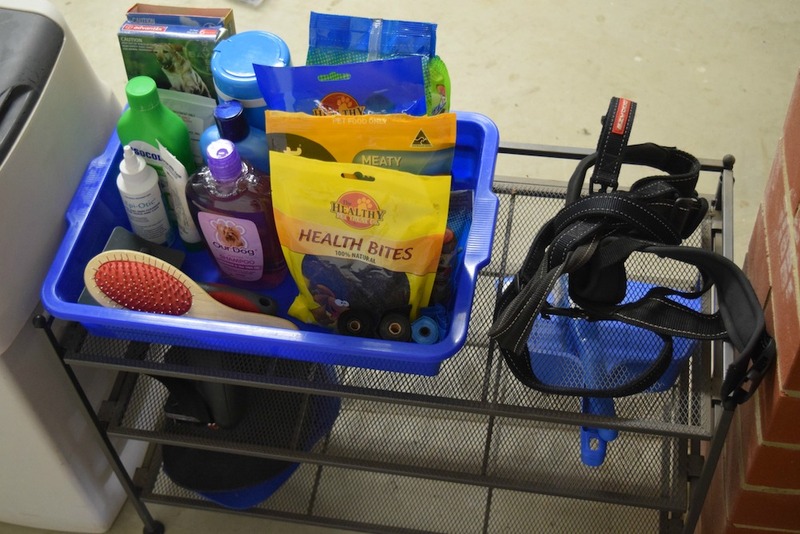 Once I simplified his products, I could get rid of the other basket and fit all of these in the blue tub. I don’t garden nearly as often as I should but when I do, I like to get straight into it rather than waste time running about trying to find all my gardening gear. 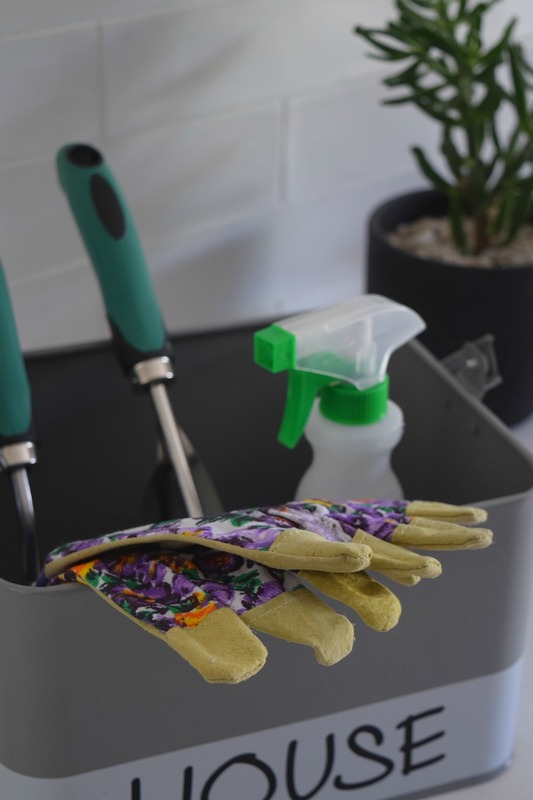 To get organised, I made a gardening caddy for my gloves, trowel and other tools. You might also like to keep sunblock, sunglasses and a hat in your caddy so you can be sun smart too. 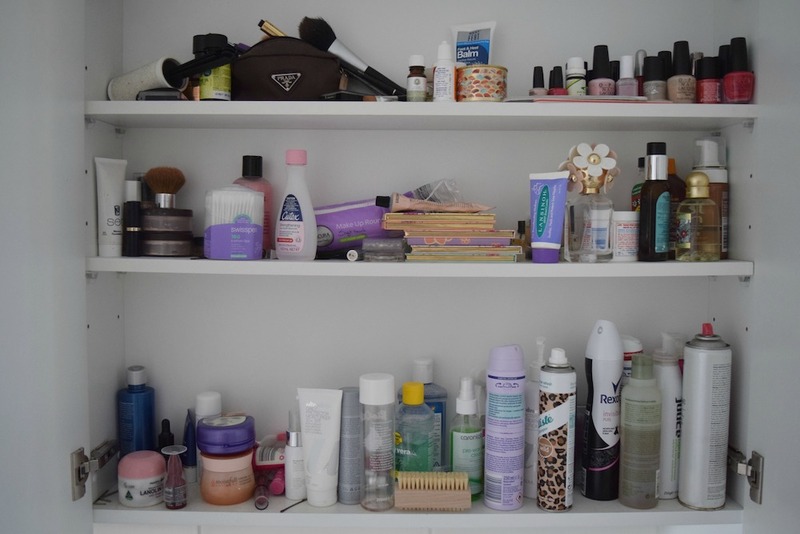 Another area of my home that was slipping into a state of chaos was my bathroom cabinet. 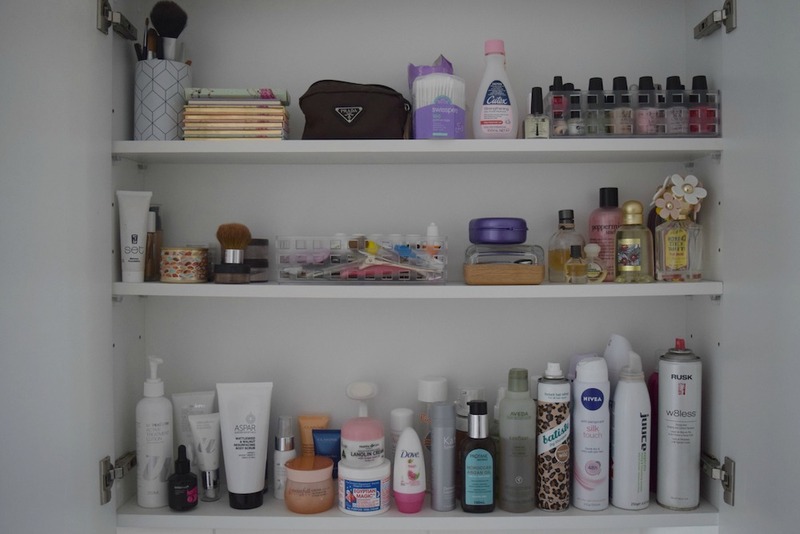 To organise this space, I simply pulled out all the items and sorted these into similar products and threw away any expired products or things I no longer used. And to help keep the cabinet neat and tidy, I bought some clear plastic baskets from The Reject Shop that still allow me to see what’s inside. 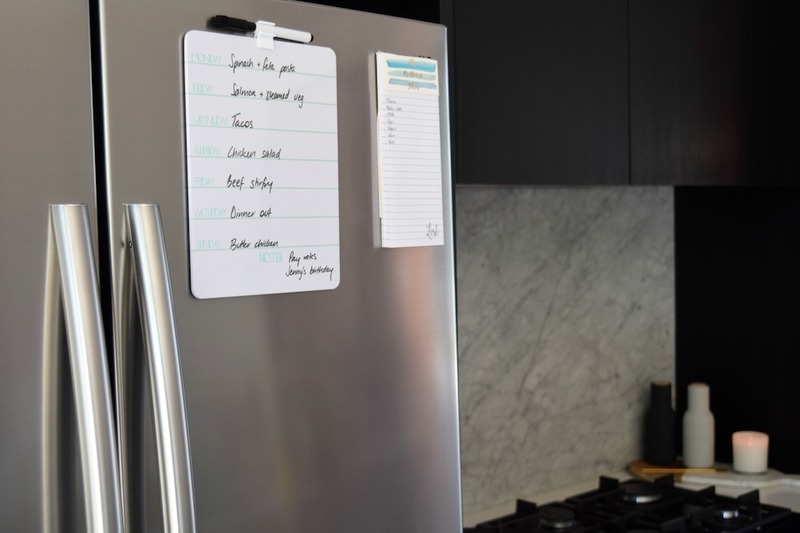 The final quick job I did on the weekend was to buy a whiteboard and magnetic shopping list that I can keep on the fridge for meal planning. So sick of always running to the shops or being too lazy and eating toast for dinner, I picked up the stationery I needed to make meal planning easier. 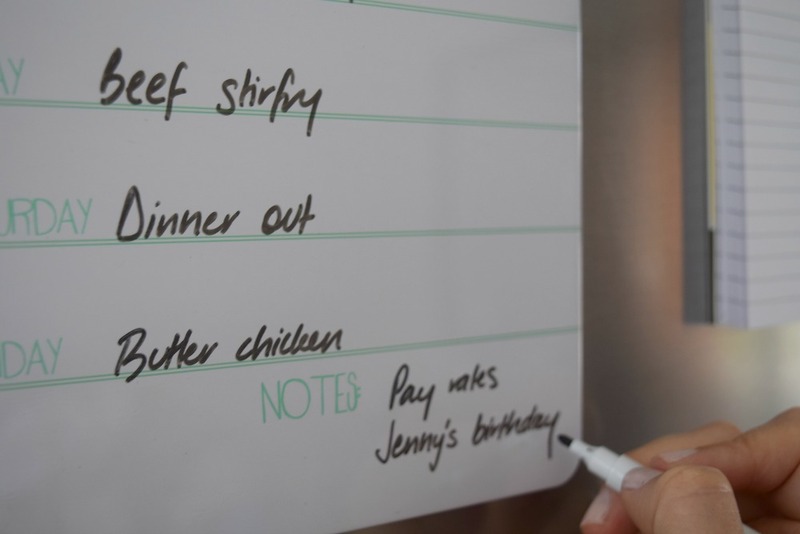 Once a week, I can sit down with the whiteboard marker and plan what we’ll eat that week and then write a shopping list of all ingredients. I’m hoping this last hack will save time, effort and money. 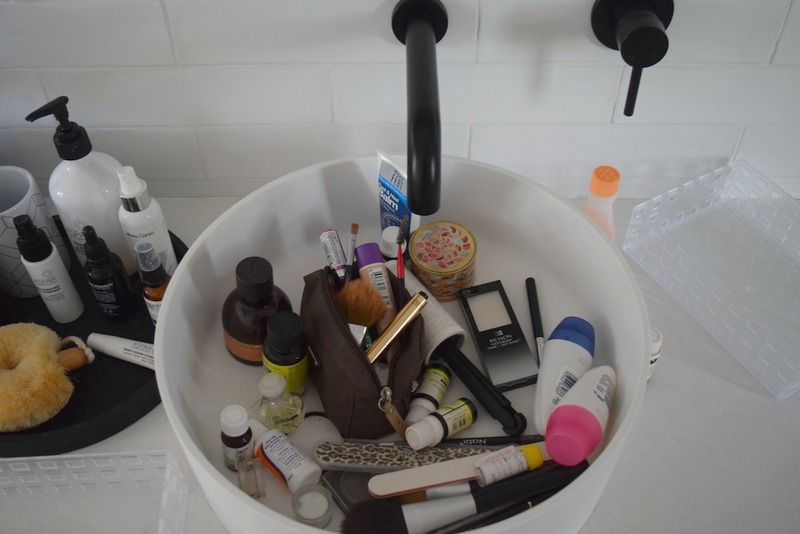 Have you recently tackled any organising or decluttering jobs around your home? 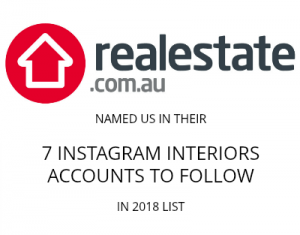 I’ve still got a long way to go to get our house organised so I’d love you to share them in the comments below! 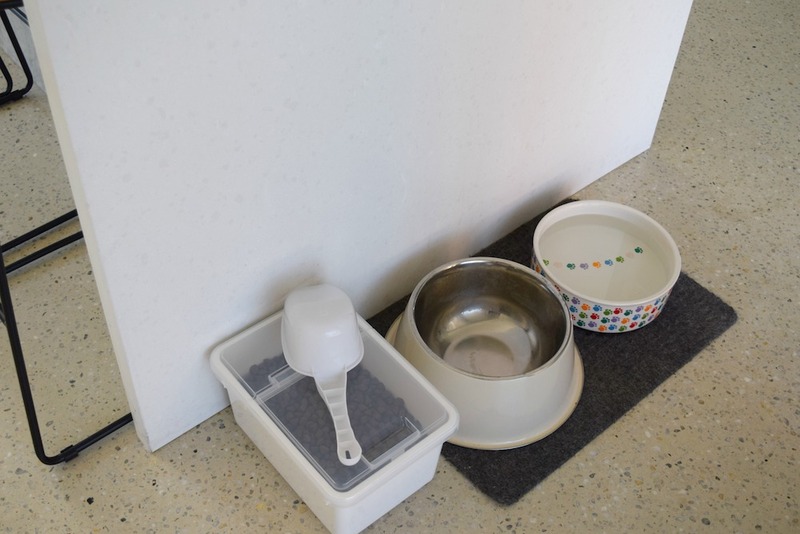 All of the products used to organise my home (as well as most products pictured like dog products and gardening gear) are available from The Reject Shop. 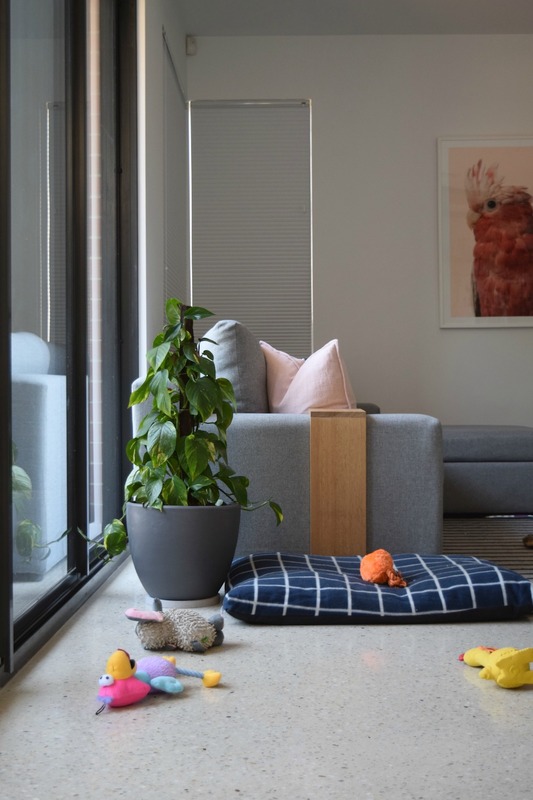 You can check out their latest catalogue on their website or get loads of other home organisation and styling inspiration on their Savvy blog here.